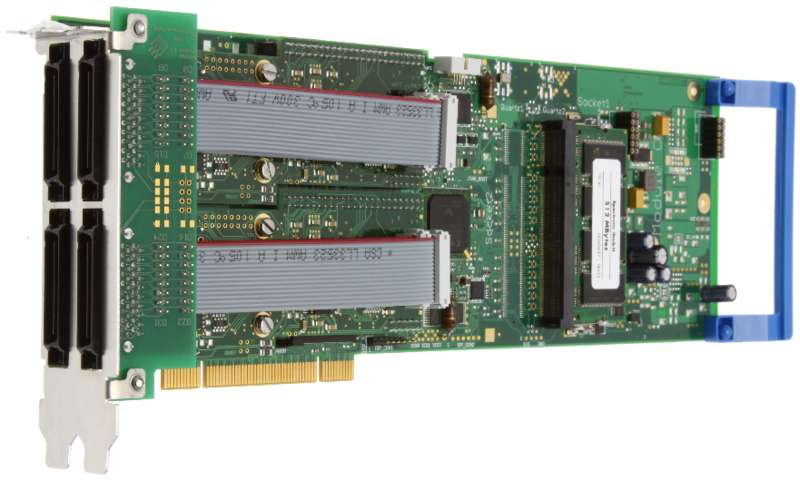 The M2i.70xx series of fast digital I/O boards offers a resolution between 1 bit and 64 bit with a maximum sampling rate of 125 MS/s (60 MS/s). All I/O lines of the card can be programmed for either input or output direction. The on-board memory of up to 2 GByte can be used completely for recording or replaying digital data. 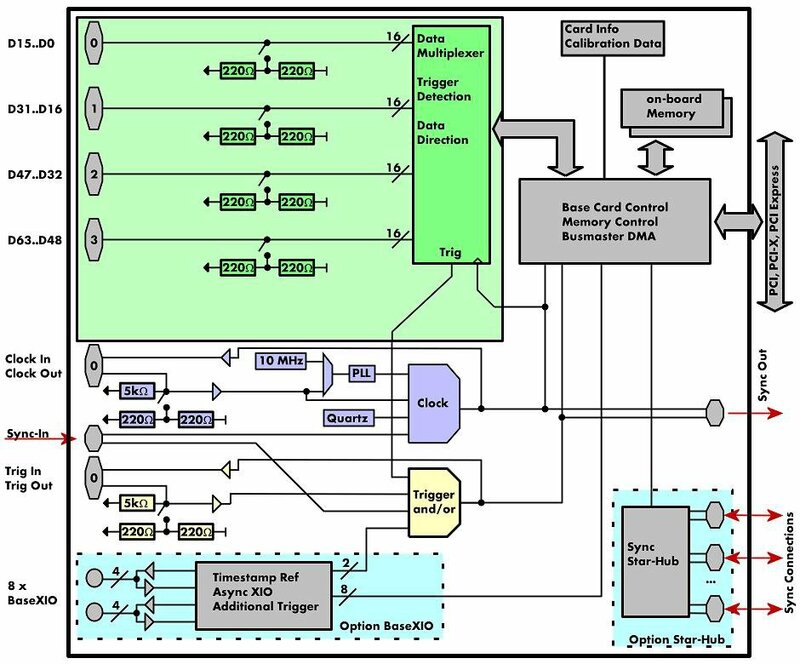 The internal standard synchronisation bus allows synchronisation of several cards of the M2i series. Therefore the M2i.70xx board can be used in combination with analog boards. The product has four FX2 digital connectors with 40 poles. Four adapter cables from FX2 to IDC is included in the delivery. The option BaseXIO has an addtional eight SMB connections.